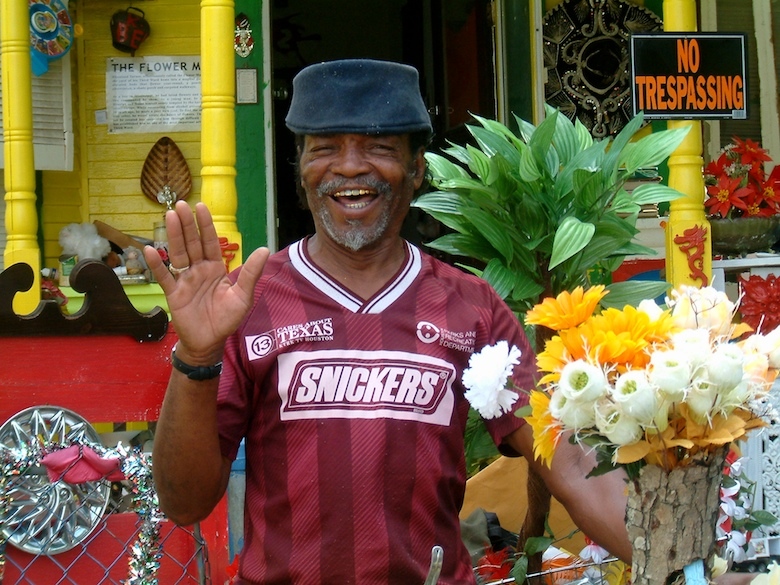 Cleveland Turner, the Houston folk artist known as the Flower Man, died Sunday. 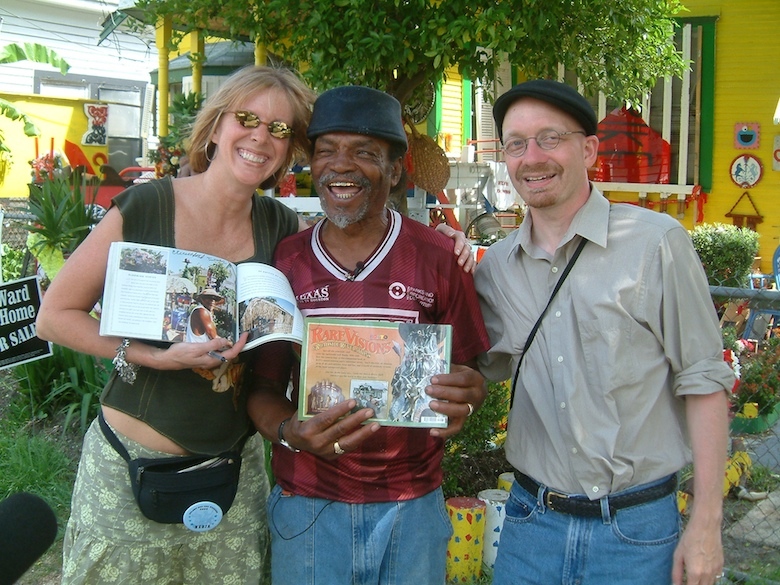 Discovery Green programming director Suzanne Theis, who knew Turner for more than 20 years and was one of his biggest supporters during her years as director of the Orange Show Foundation for Visionary Art, said Turner had been ill several months with stomach cancer. Turner, who was born in 1935, landed in Houston as a young man on his way from his home in Mississippi to California, but was dazzled by the city. “There was a bar on every corner, and he visited all of them,” Theis said. He ended up at St. Joseph Hospital with alcohol poisoning in the early 1980s but eventually found his way back to health. Turner built his first Flower House installation as “a testament of his faith and gratitude to god for helping him turn his life around,” Theis said. She remembers seeing that shotgun-style house on Sauer Street painted vivid reds and deep cerulean blues, surrounded by flower beds built up with found objects. The garden, Theis added, fulfilled a dream Turner had based partly on his grandmother’s love for flowers. In an essay, Houston curator Alvia Wardlaw said Turner’s yard art “stands apart like a huge parrot in a tree filled with sparrows.” He told Wardlaw the idea came to him in a vision and he made a deal with God that he’d keep it up if God would keep him sober. But Turner’s exuberant installation – which flowed from the yard onto city property – attracted attention, and it wasn’t always good. “Not everyone in the neighborhood understood or appreciated his art,” Theis said. On the day the Chronicle wrote about Turner in 1988, his house was burglarized and some of his art was destroyed. With help from the Orange Show, he moved to a new house and began a new installation. For years, Turner was a familiar sight in the Third Ward, riding his bicycle to gather objects for his ever-expanding work of yard art. The second house on Sampson St. was partly destroyed by a fire in 2003. This time, Project Row Houses and a crew of volunteers helped Turner rebuild at 2305 Francis St. He overcame adversity once again, with help from friends in the community, after Hurricane Ike damaged that house in 2008. “He taught me a lot about beauty,” Theis said. “He could see beauty in the oddest collections of stuff, and he put things together in ways that made you see them differently.